King's Quest is an episodic adventure game being developed by The Odd Gentlemen and published by Sierra Entertainment. 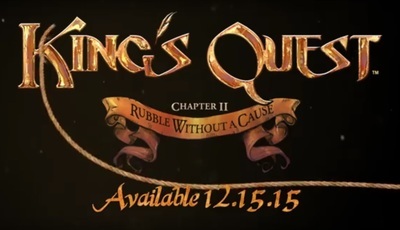 This trailer is for Chapter two of King's Quest, titled Rubble Without a Cause. King's Quest is available for PlayStation 3, PlayStation 4, Xbox 360, Xbox One and Windows Computers. Will you be checking out The Maze Runner?